An effective and practical program based on the Paleo lifestyle, customized to fit your needs! As the Paleo movement sweeps the nation, the health benefits of following the lifestyle of our hunter-gatherer forebears are undeniable. But what happens when we hit a wall and weight loss stalls, energy flags, or we're tired of restricted eating? We're not cavemen anymore, so why should we follow a strict caveman diet? 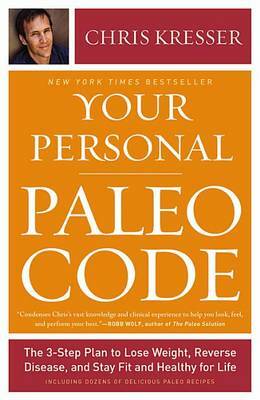 In YOUR PERSONAL PALEO CODE, Chris Kresser uses the Paleo diet as a baseline from which you can tailor the ideal three-step program-Reset, Rebuild, Revive-to fit your lifestyle, body type, genetic blueprint, and individual needs. Kresser helps further personalize your prescription for specific health conditions, from heart disease and high blood pressure to thyroid disorders and digestive problems. 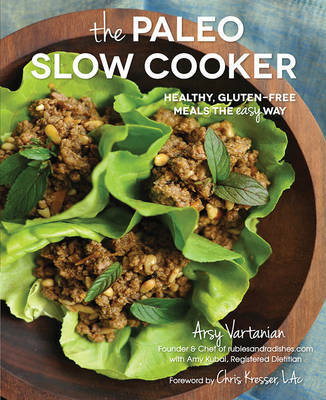 Along with a 7-day meal plan and delectable, nutritious recipes, YOUR PERSONAL PALEO CODE offers natural solutions and an avalanche of groundbreaking advice on how to restore a healthy gut and immune system; how to eliminate toxins; which fats to eat liberally; how to choose the healthiest proteins; and much more. Best of all, you only have to follow the program 80% of the time; there's room to indulge in moderation while still experiencing dramatic results. Based on cutting-edge scientific research, YOUR PERSONAL PALEO CODE is designed to be flexible and user-friendly, with helpful charts, quizzes, and effective action steps to help you lose weight, reverse disease, and stay fit and healthy for life. 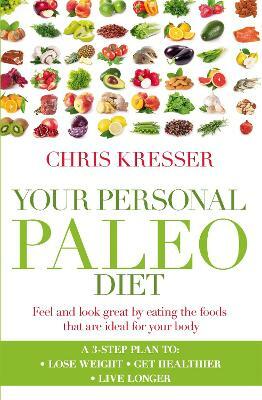 Buy Your Personal Paleo Code by Chris Kresser from Australia's Online Independent Bookstore, Boomerang Books. Chris Kresser is an integrative medicine practitioner with a private practice in Berkeley, California, and patients around the world. He is a regular health columnist for The Huffington Post, and the creator of the popular blog ChrisKresser.com and the "Revolution Health Radio with Chris Kresser" podcast, which challenges mainstream myths on nutrition, health, and disease.